Where can you go for the best, most useful marketing information? Check out these free resources. When I first started out with digital marketing, I was blown away by the sheer amount of online marketing resources and social media classes. I read hundreds of articles and enrolled in as many marketing courses that I could possibly get my hands on. Even today, millions of resources continue to be published online every month. Where can you go for the best, most useful marketing information? 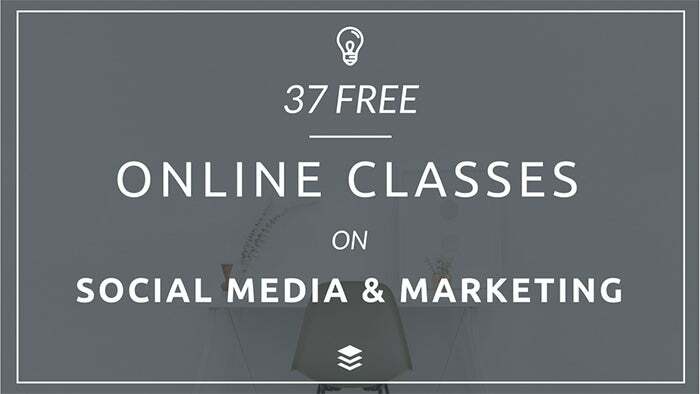 I’ve had the chance to test out and research a huge amount of resources, and I’m excited to share with you 37 free marketing and social media classes that you can enroll in to upgrade your skills across the board. 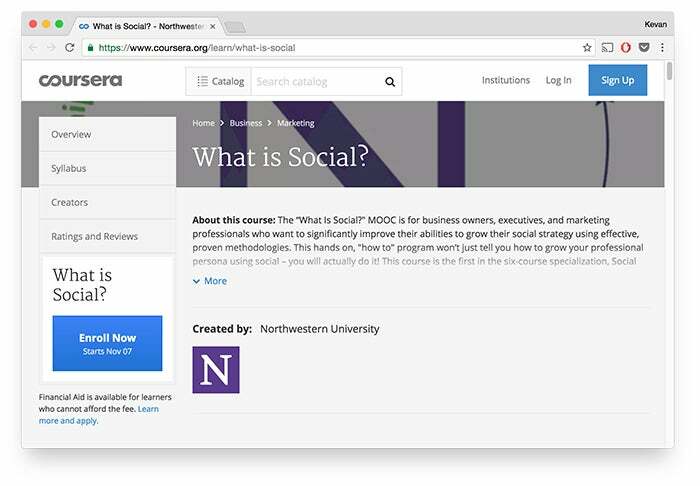 “What is Social?” is a massive open online course (MOOC) for business owners, executives and marketing professionals who want to significantly improve their abilities to grow their social media strategy using effective, proven methodologies. 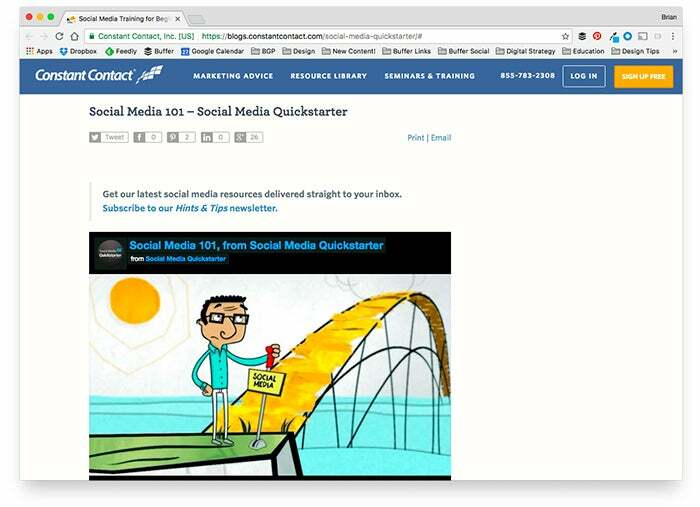 In short, it’s a really awesome, action-based intro to social media. 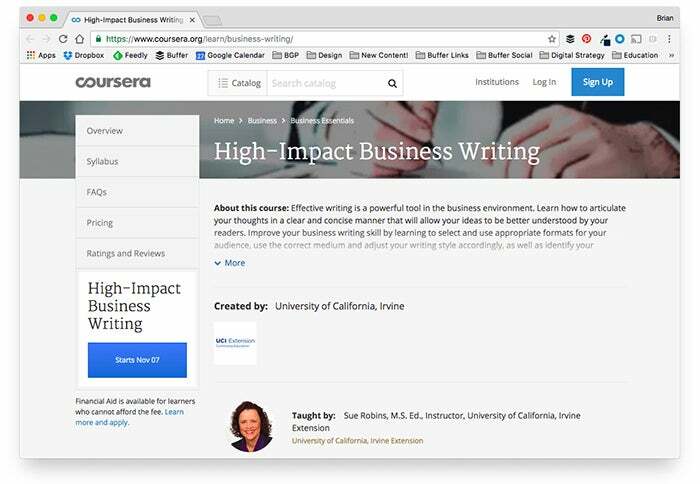 Alison is a similar to Coursera as a site that offers a huge range of classes and certifications, including several in the marketing space. 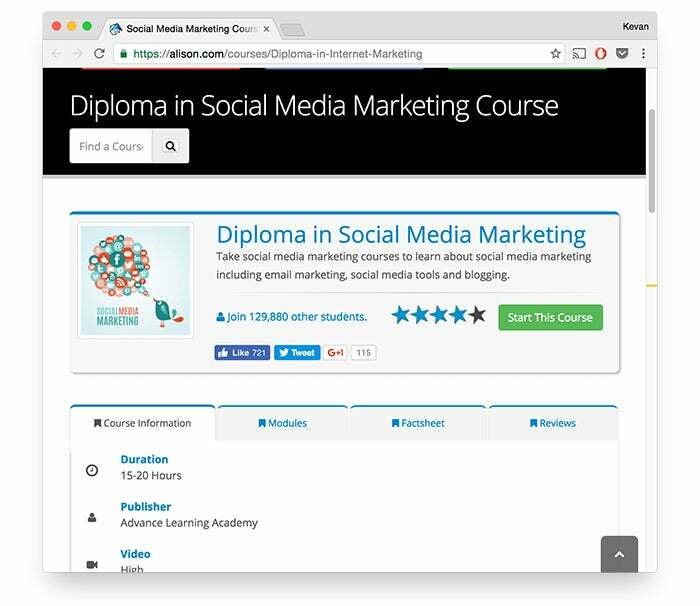 Their free social media class covers the use of email marketing, affiliate marketing, using social media tools such as Twitter, blogging and podcasting, and how to use Facebook to create a business page and get it noticed by current and potential customers. So you’re likely to get a social media foundation plus a handful of other digital marketing skills to boot. “The Business of Social” is for businesses owners, marketers and social media managers looking for ways to tie social media directly into real business growth objectives. In other words, those looking to drive real, measurable value from a social media strategy and program. Instead of focusing on how marketers can create great content for social media, this class more focuses on how exactly to measure your social investments in terms of time, cost and opportunities. Have you ever wondered what it means to use social media effectively and ethically? 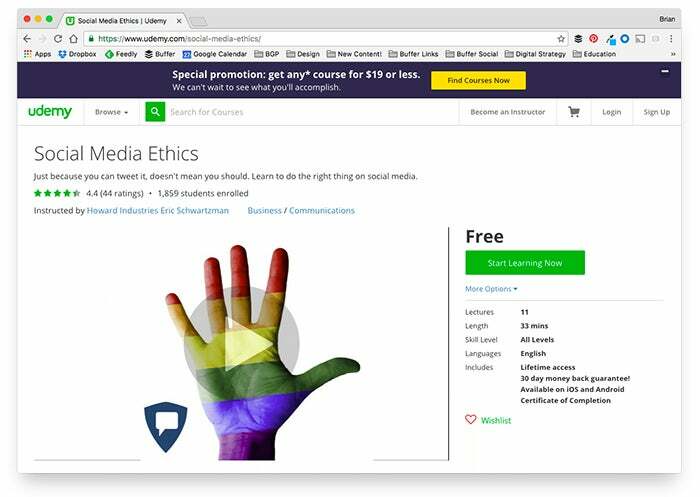 This free course on “Social Media Ethics” provides the framework for social networking and engaging in ethical conversations online for all professionals and employees. Touching on local, state and federal laws, it takes the guessing game out of what is and is not legal on social media for employees of businesses. 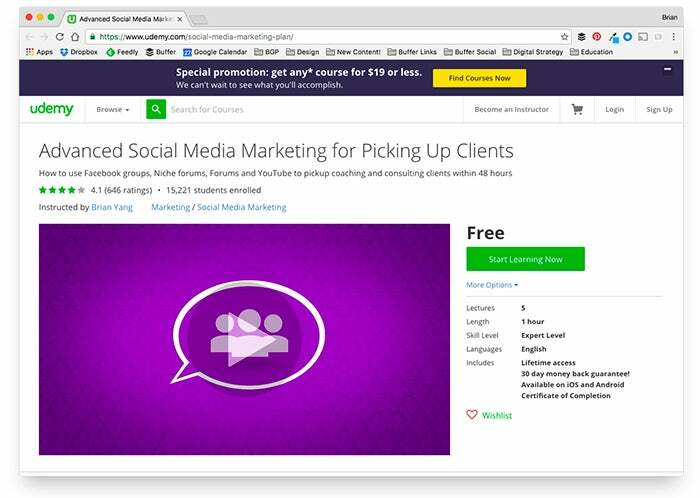 All you need for this course is an active Facebook, YouTube and Reddit account and you’ll be on your way to learning the secrets behind picking up clients on social media. 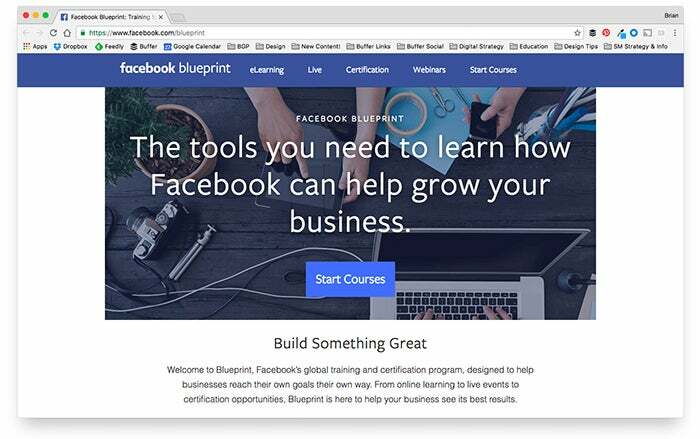 Perfect for small businesses, marketers, agencies and advertisers, Facebook Blueprint is your one stop shop for everything there is to know about running successful advertising campaigns using your Facebook Business Page. 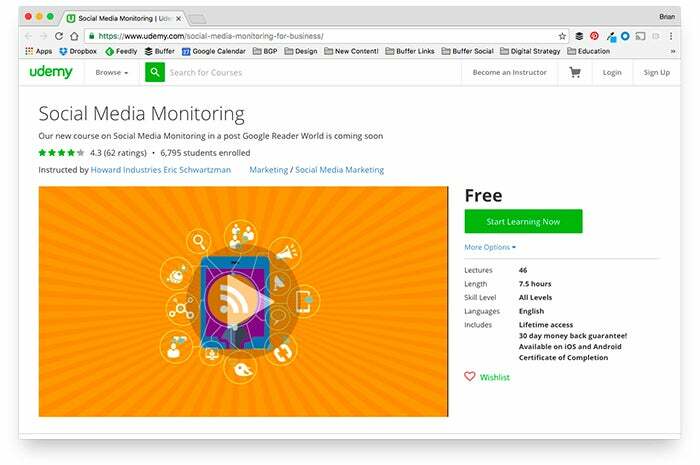 This huge resource of free, self-paced social media classes will cover best-practices and top strategies used by the world’s largest brands. 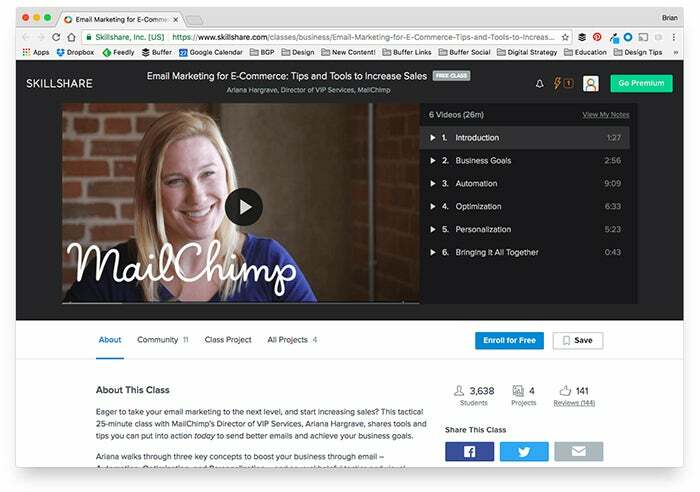 By the end of this email course, you’ll have a great understanding of how to create engaging email marketing campaigns and how to optimize your strategy in order to increase business revenue. 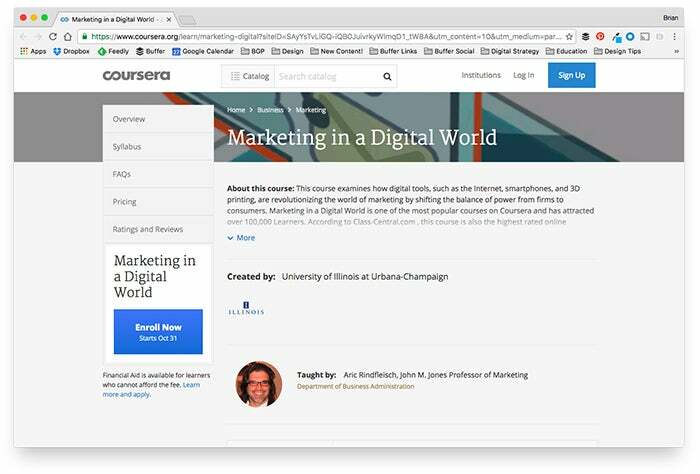 “Marketing in a Digital World” is one of the most popular free marketing courses on Coursera -- with more then 100,000 students enrolled to this date. 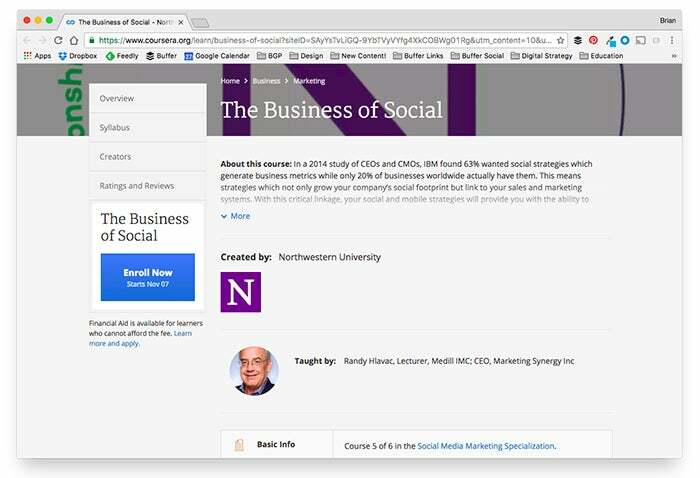 Taught by a professor at the University of Illinois, this class focuses on the transformation of marketing strategies an tactics into a digital-first world. Specifically, how technology is putting the power of marketing into the hands of the consumer. 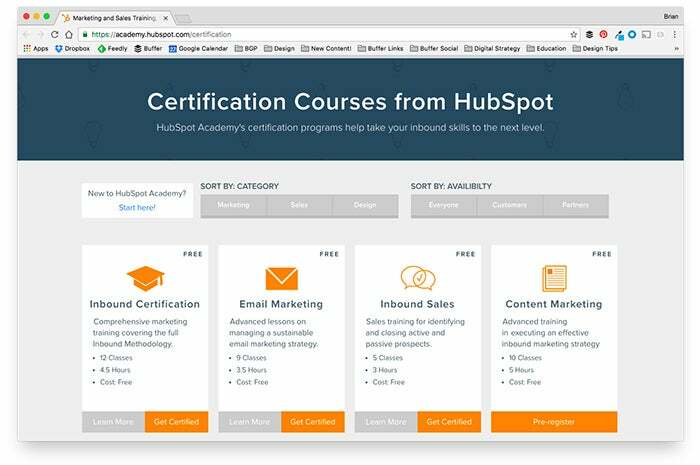 This course is perfect for marketers looking to understand where the marketing field is today and how you can leverage new-age strategies to attract customers. 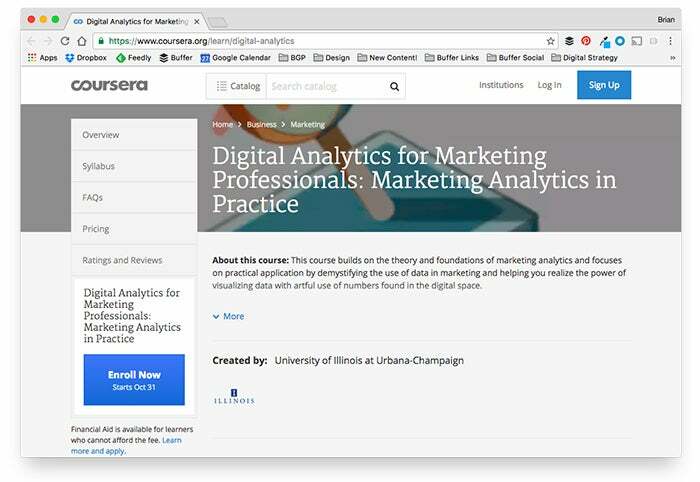 And for those who are keen to continue their learning, this course is part of a larger Digital Marketing Specialization for the University of Illinois. 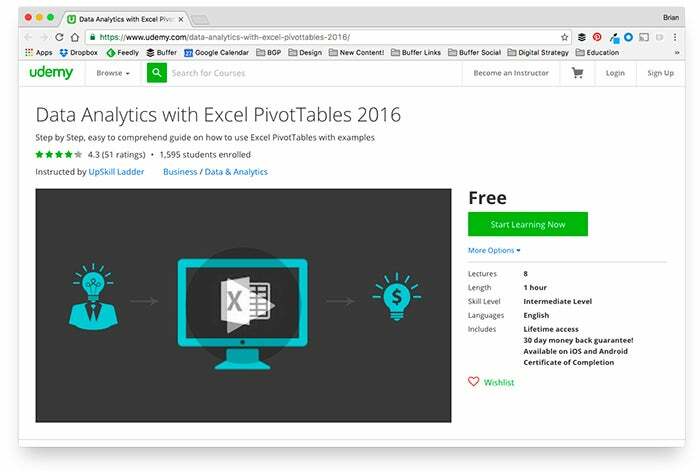 What makes this course is that Neil Patel presents the information in very easy-to-learn and snackable ways. The lessons are presented in video format and range anywhere from 3:00-12:00 minutes. Each video also comes with a full transcript allowing more visual learners to follow along. 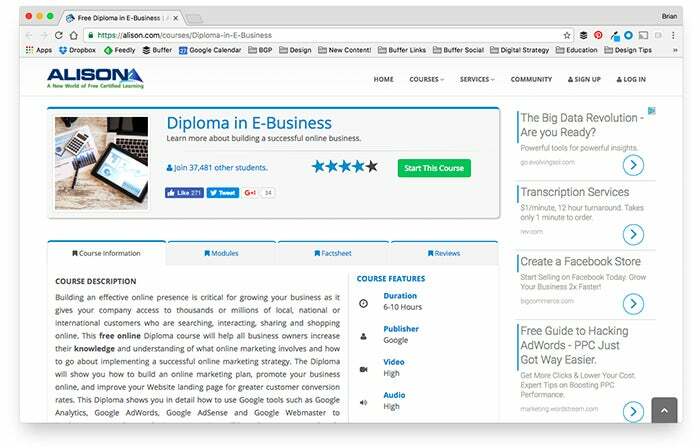 This “Diploma in E-Business” course is a comprehensive resource for marketers, business owners and advertisers who would like to get the most out of their digital marketing efforts. You’ll learn things like the fundamentals of promoting your business online, using various Google-powered tools and how to track and make sense of the vast amounts of data available to you. 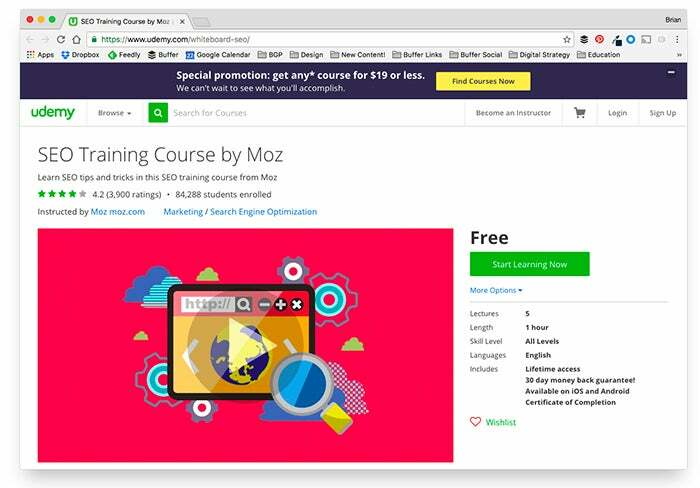 Whether you have a deep knowledge of how to market your business online or are just getting started, this course is an awesome way to strengthen your digital marketing skills. 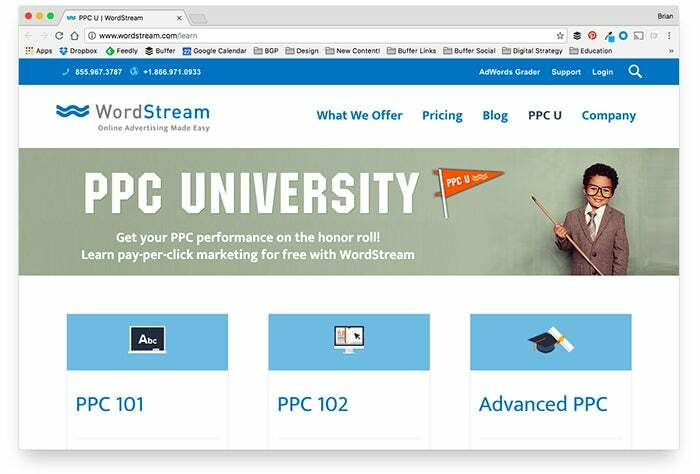 Learning the ins-and-outs of all of the marketing tools that Google offers is quite the task. But marketers and business owners have seen the direct benefits of mastering the various Google advertising platforms in terms of business ROI. 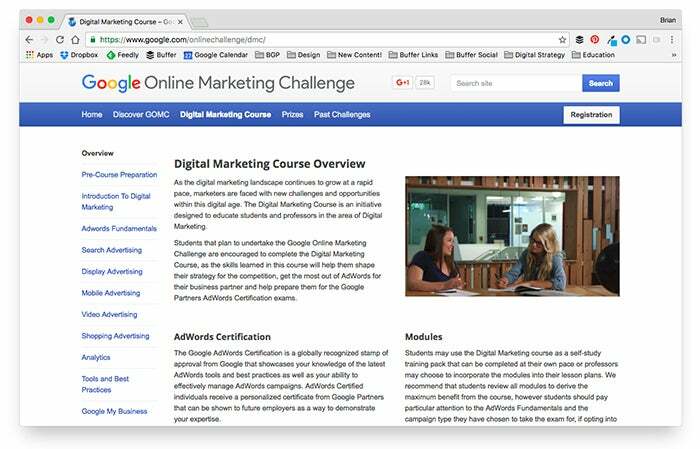 This course offers a direct line to always-updated resources for everything Google. This class is broken up into 12 videos of varying length -- anywhere from 5-30 minutes and will take you about 2 hours to complete from start to finish. You’ll be taken on a journey through the basic brain mechanisms in consumer choice, and how to stay updated on these topics. 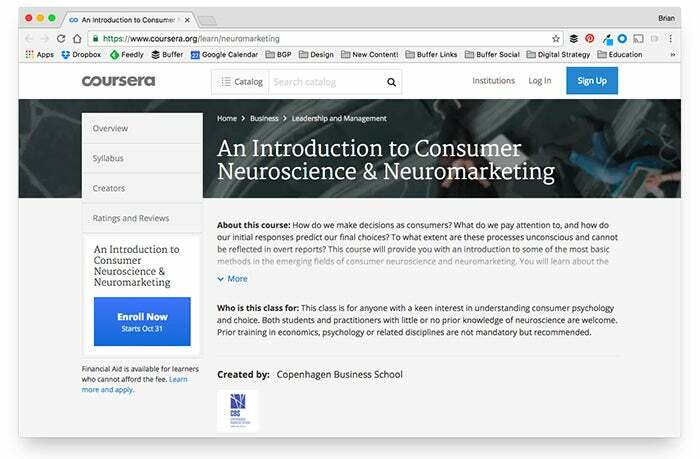 The course will give an overview of the current and future uses of neuroscience in business and how you can apply it to your own social media and marketing strategy. 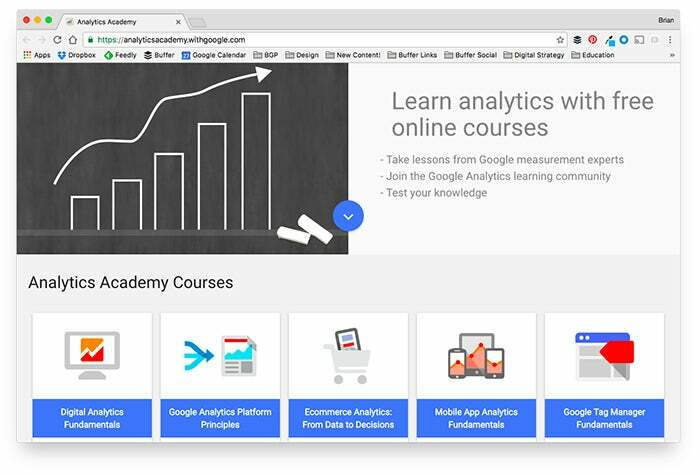 Taught by Kevin Hartman, Head of Industry at Google, this free marketing course on “Digital Analytics” focuses on the specific data collection, analysis and visualization techniques used by the world’s top brands. 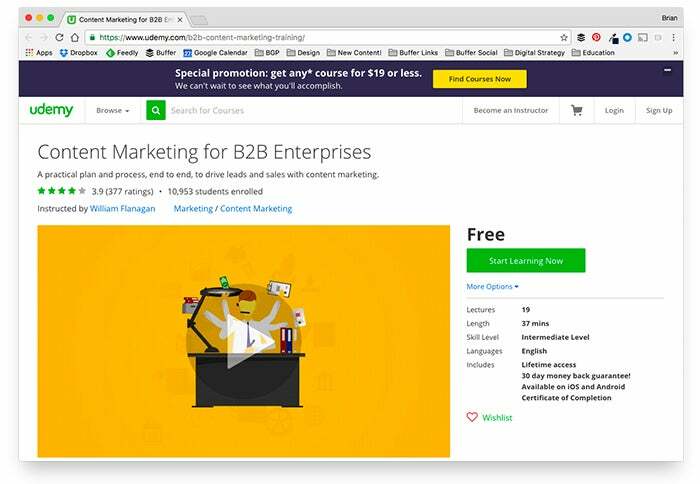 Unlike some of the other analytics classes offered online, this one focuses specifically on marketing. 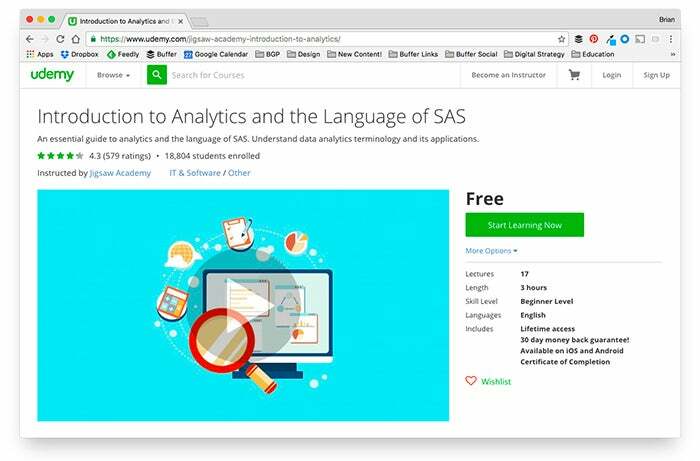 This course will set you up with a full understanding of how to properly approach data analytics in marketing and how to make informed decisions based on your finding. In short, you’ll be a data wizard! 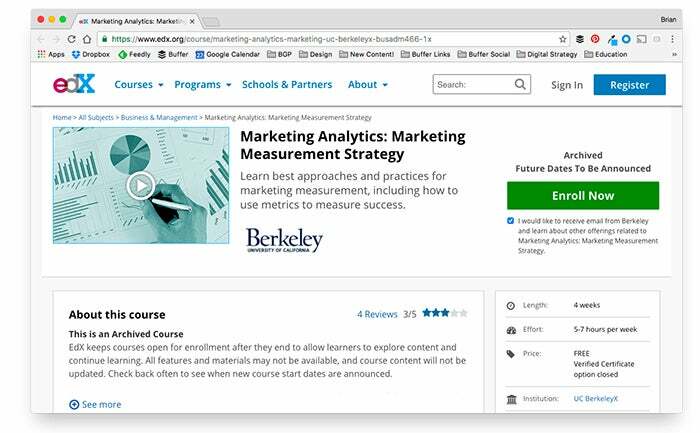 In this marketing class, you’ll learn the best approaches and practices for marketing measurement, including how to use metrics to measure success. The professor, Stephan Sorger, presents hands-on examples of how to identify market trends, how to predict future conditions and how to put those into action. As social media continues to drive traffic and revenue for businesses, the need for marketers to fully understand the “why” behind social success (or downturns) will increase. 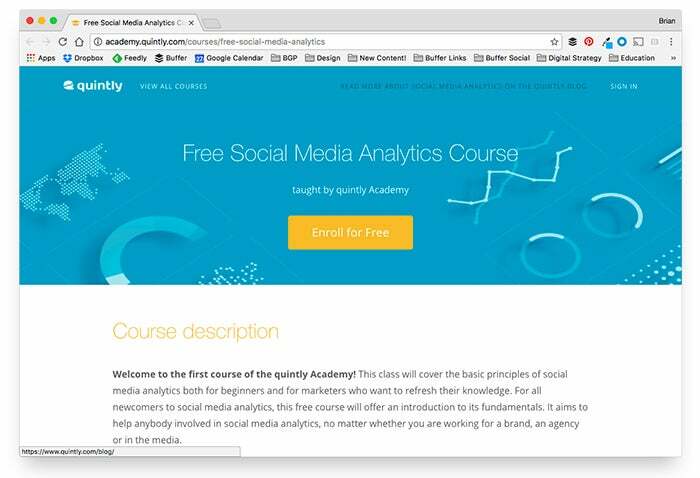 This free social media class from Quintly covers the basic principles of social media analytics both for beginners and for marketers who want to refresh their knowledge. It aims to help anybody involved in social media analytics, no matter whether you are working for a brand, an agency or in the media. 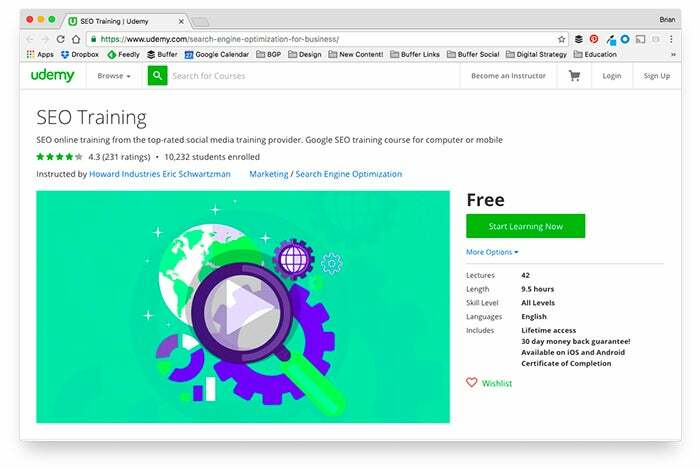 This SEO Training class is perfect for social media managers, executives and entry-level employees. 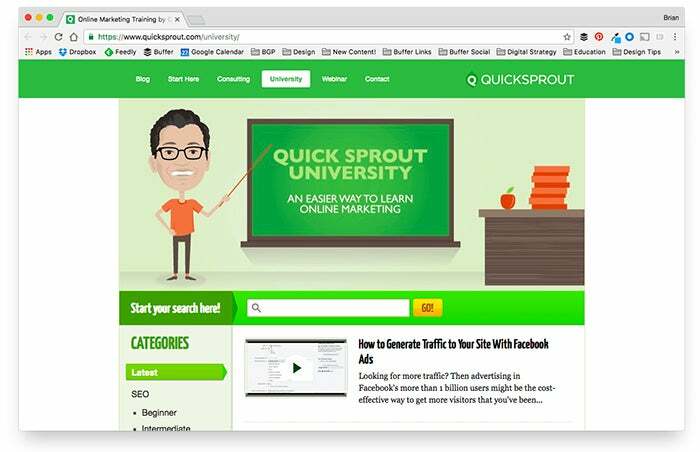 This SEO course will help you increase the search rank of your corporate website, your blog or LinkedIn profile. 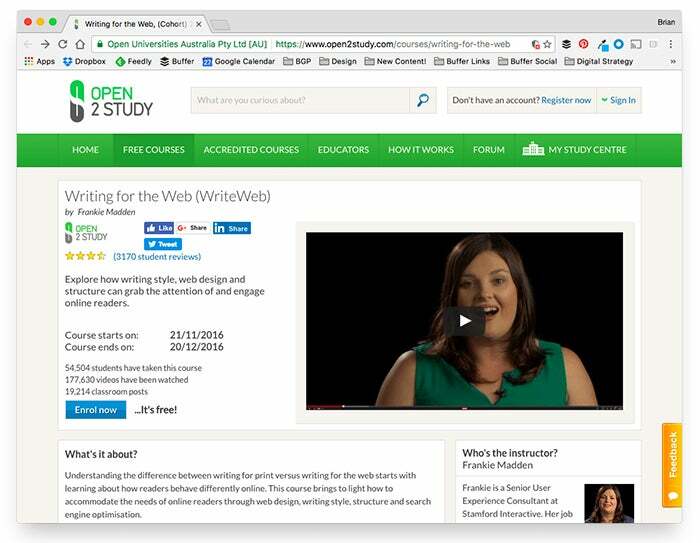 This course will help just about anyone -- from journalists to technical writers to developers to aspiring bloggers -- create content that really engages and converts online. 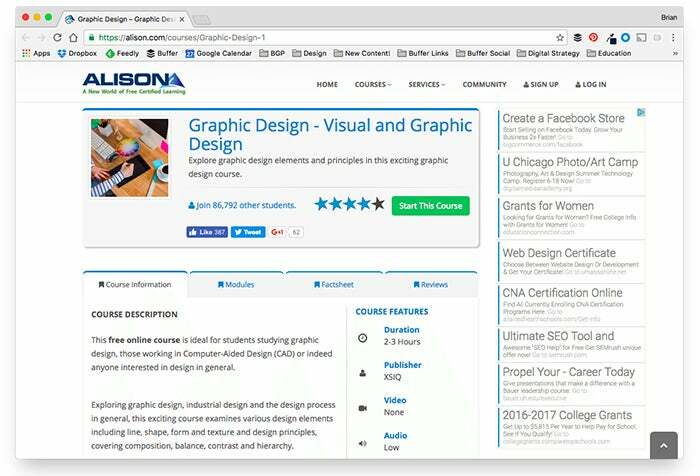 It also will teach you the skills needed to accommodate the requirements of online readers through web design, writing style, structure and SEO. 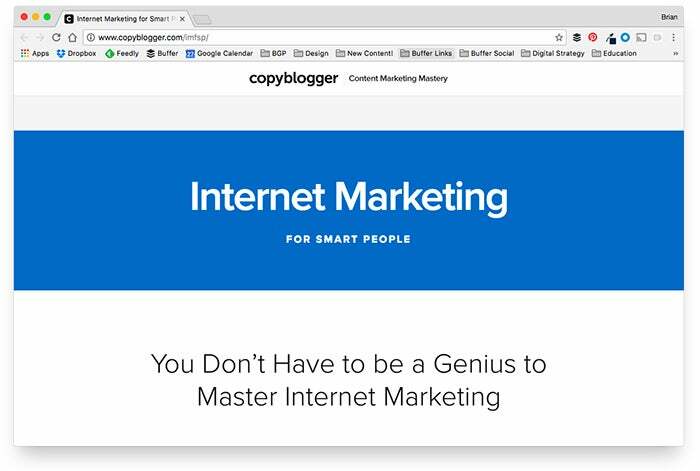 Have you ever wondered how all of those great bloggers get writing gigs for brands online? This course provides the framework for starting a successful freelance career if that’s something you’d be interested in. 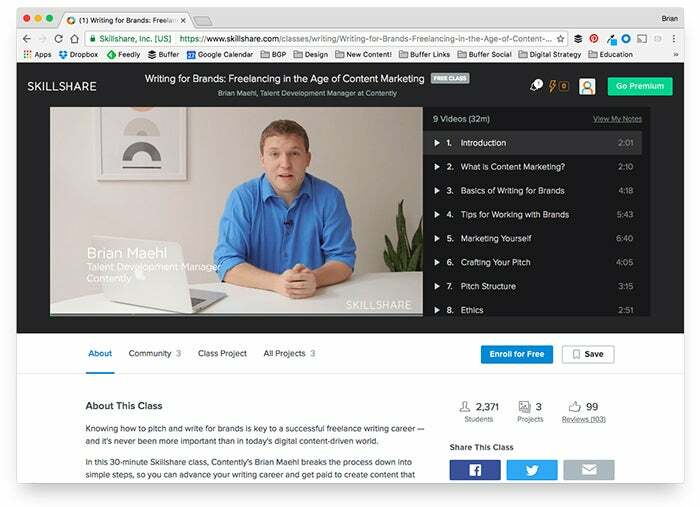 Taught by Brian Maehl of Contently, “Writing for Brands” is an actionable, 30-minute writing course that breaks down the process into simple steps. 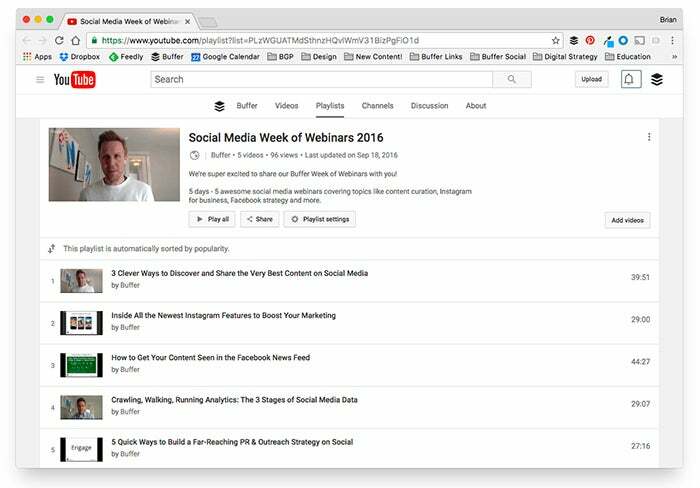 If you’re interested in getting started with optimizing your website for search engines and how social media has the power to fit within that strategy, this is a great place to start for beginners. B2B companies, products and services often require a slightly different approach to content marketing. Customer sales cycles are more drawn out and require various, targeted content types to help assist decision-makers to the next stage. It’s set up in “4 Pillars” takes you through various topics such as customer relationships, writing, content marketing and delivering something that’s worth selling. Did you know that in 2016, visual content is more than 40 times more likely to get shared on social media than other types of content? Today, it’s becoming important, even crucial for marketers to have at least some basic knowledge of key design terms. 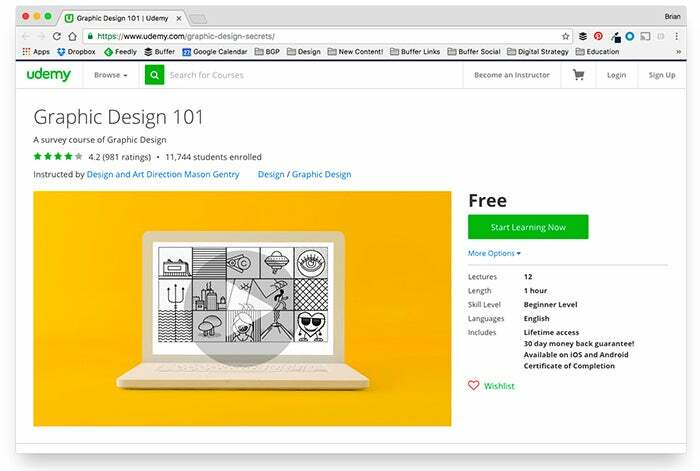 This course does a deep dive into the five steps for better visual communication. 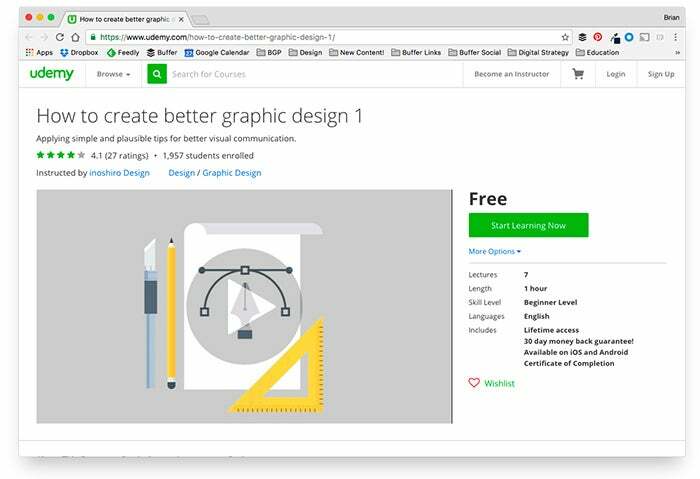 These components include creating ideas and applying them to your design, communicating ideas effectively within the design and having a consistent design look and feel. 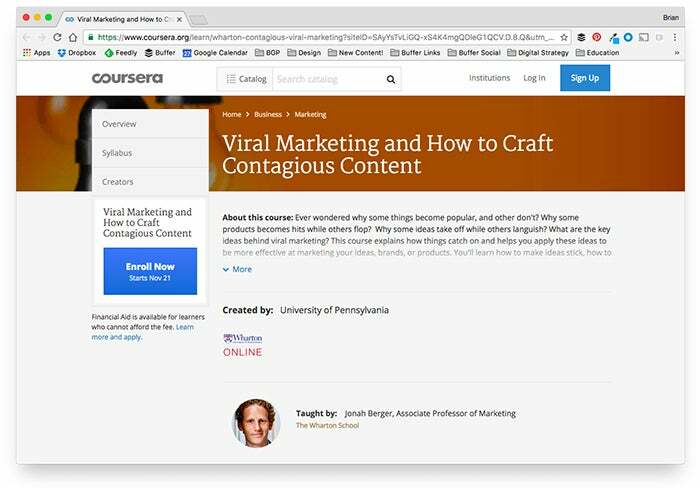 About this course: Video marketing is making a huge splash online and on social media. 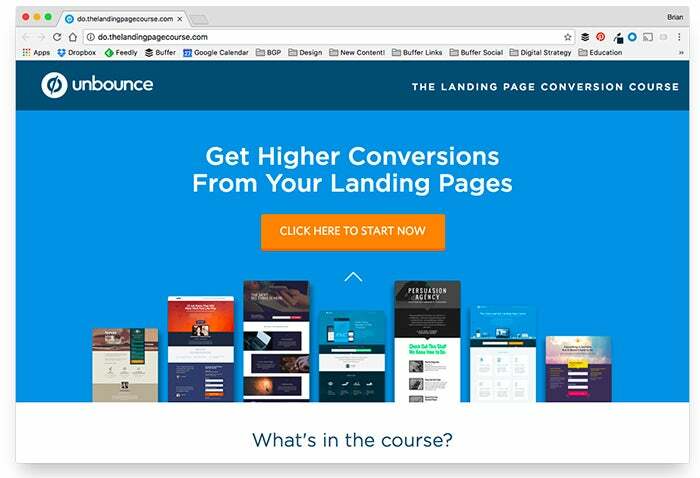 But one thing what we consistently hear is that marketers aren’t quite sure where to start. Yet, videos have the potential to engage an audience in new and exciting ways -- just look at BuzzFeed Tasty for an example of the power of video! 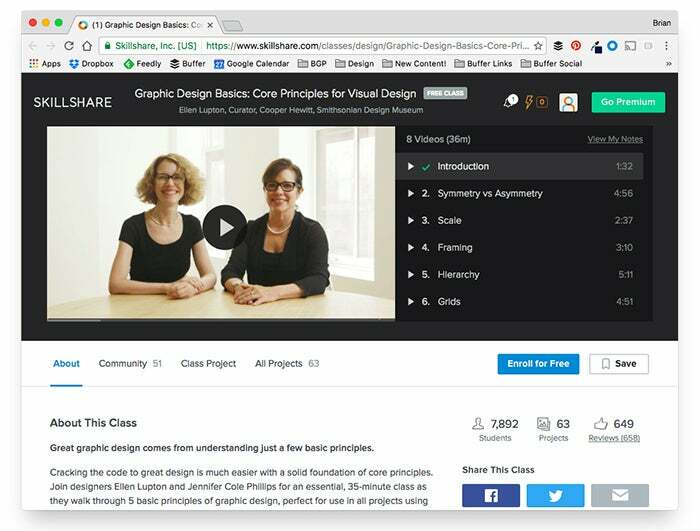 In this short class, Nicole Farb shows how you can create your own video in a scrappy, easy and high-quality way and how she has seen huge success with it in the past. 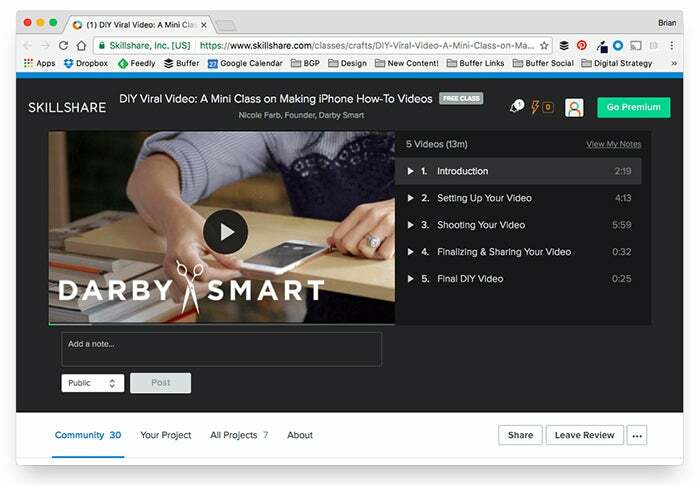 Perfect for marketers and social media managers just getting started with video.